A snow white Afghan hound, complete with a perfect ring tail, who will appeal to Afghan hound lovers everywhere. Handmade patent leather Afghan hound key ring with stainless steel ring is the perfect small gift for a friend or loved one, makes a great Christmas gift and can be used as an unusual leather charm to decorate bags, purses and backpacks. Exclusive design by Dog Moda this handmade leather dog key chain / key ring is available in four breeds. 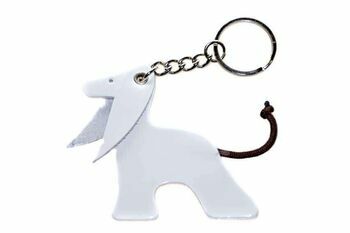 We stock other dog breeds key rings: Whippet, Greyhound, Basenji and Designer cute dog. 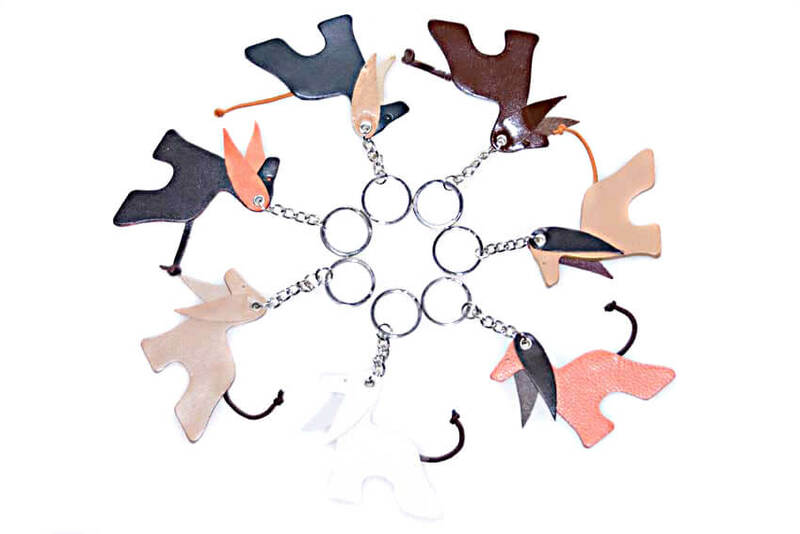 Each key ring is hand finished and, just like real dogs, comes in several colour combinations. I have a family of these Afghans, love them, great gift!